The work is based on 3D seismic survey, the company said. "It will be possible to talk about further plans after drilling the first well, in case if successful results are achieved, that is, if the field is explored," the company noted. "As for the Southern Gas Corridor (SGC) project, it has an infrastructure of regional and even global importance. SGC will be able to transport all the gas volumes from Azerbaijani fields." SOCAR and BP signed a contract on the Shafag-Asiman block of fields for a period of 30 years in October 2010. The exploration period is four years with possibility of extension for three more years. Two wells are to be drilled within the first phase. Two more wells will be drilled within the second phase, if necessary. 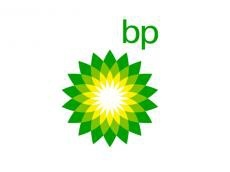 Shared participation in the contract between BP and SOCAR is 50 to 50 percent. A ceremony to launch the first stage of the Southern Gas Corridor project was held in Baku on May 29.